After a series of big ol' blog posts about women and student-ing and just imparting general Alice wisdom, I needed to reign it in a little bit. I became super ill.. not as a reaction to blogging obvs.. but I took a lil break (soz) and after a week of no blogging, guess who's back. Back again. We're going to start light, over a cup of coffee- flat white for me please- I'll fill you in on my week and what I've been up to, how life is going. Apologies in advance for the iPhone photos, I knew I wasn't blogging so I stupidly didn't bring a camera anywhere. 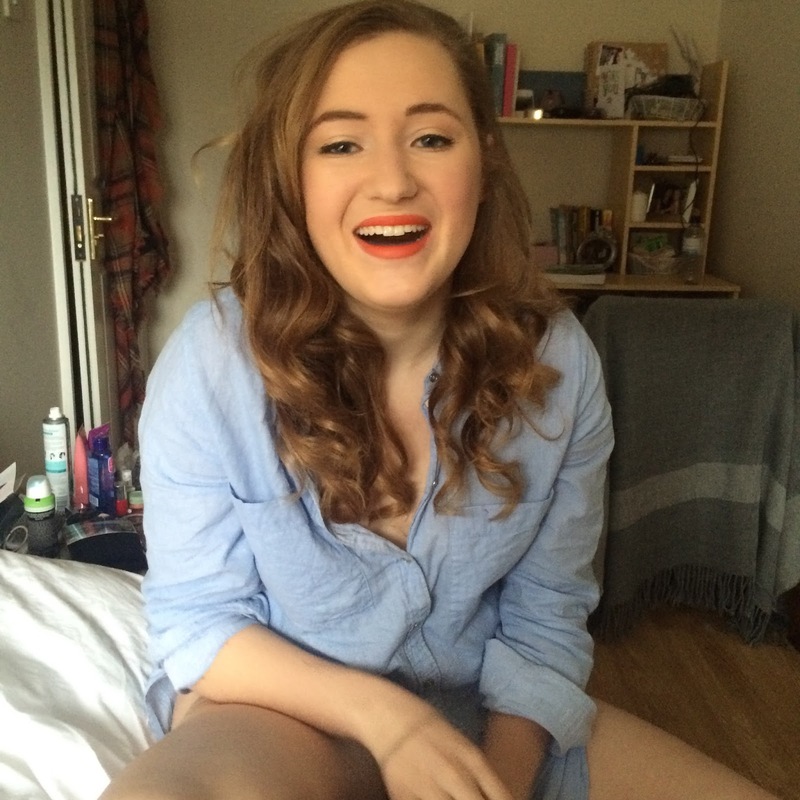 So despite being on my death bed and not having talked for 36 hours, on Tuesday it was time to put into practice my birthday present for Saffron (university best friend, Blake Lively look alike and all round great egg). We ventured into London town, where we found refuge in Wahaca and ate all of the 'Street Foods.' Literally. We had a plate from each of the variations. 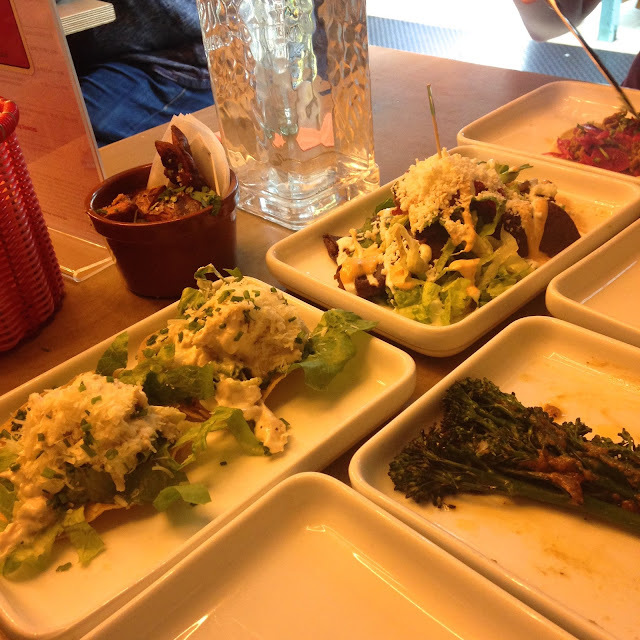 If you haven't been to Wahaca before, you need to get yourself there. I've only been to the one on Southbank but I'm aware there are a few dotted around and essentially it's the best Mexican food outside of Mexico. When we'd successfully eaten our weight in food, and dessert, it was perfectly in time for us to catch the train over to Covent Garden. Let me tell you, navigating the London tube system with a broken foot in rush hour, is a death wish. However, on completing it, I felt like I could do anything ever. Broken shmoken. We reached Theatre Royal Drury Lane, ready for the 7:30pm performance of Charlie and the Chocolate Factory. Being a student, I self confess I bought the cheapest tickets going. Grand circle, right at the back, restricted view. However a HUGE shout out to the staff at the Theatre Royal, because due to the broken foot scenario, we got upgraded. 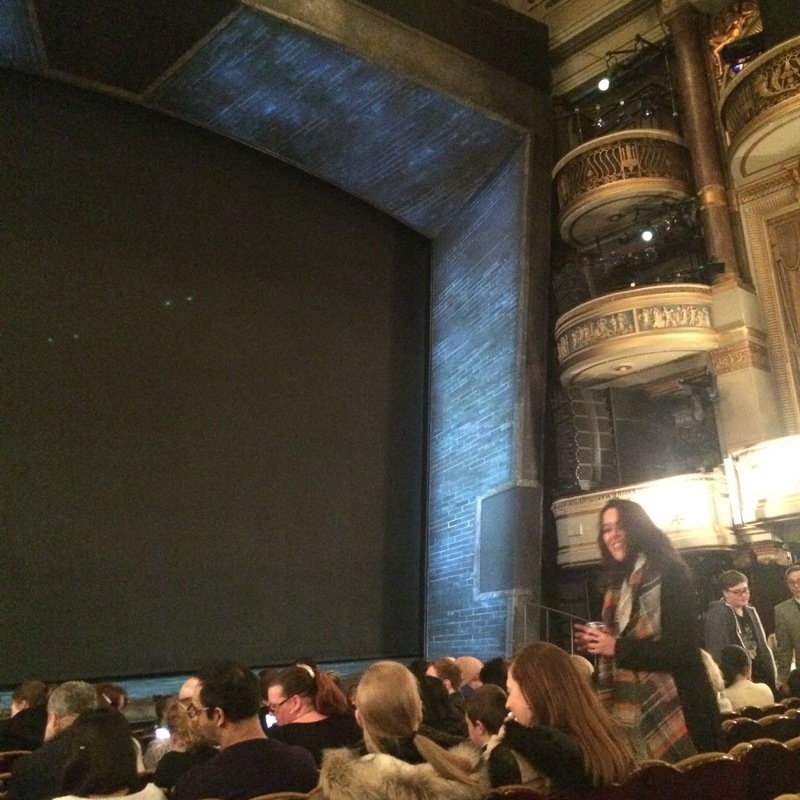 To the stalls, aka, 8 rows from the front. We felt surrounded by people who probably got taxis instead of the underground, but as Saffron, so rightly said 'Alice, we're where we belong'. The show was literally incredible. When you buy tickets to a musical you don't know any of the songs of, it's a bit of a hit and miss. But it was amazing and comes highly recommended from me. I was very lucky to grow up running around theatres and going to the West End probably more than most, as my mum worked in a large theatre, and I can safely say the set of Charlie and the Chocolate Factory was the best set I've ever seen in my life. Despite the sickness this was a complete high to start the week on. And it only continued. On Wednesday I went out with some of the girls from work, which involved a lot of #selfies and drinking wine. As I haven't worked in 2 months, it was so wonderful to be back in the loop. Sometimes all it takes is friends and wine to bring you back on top. 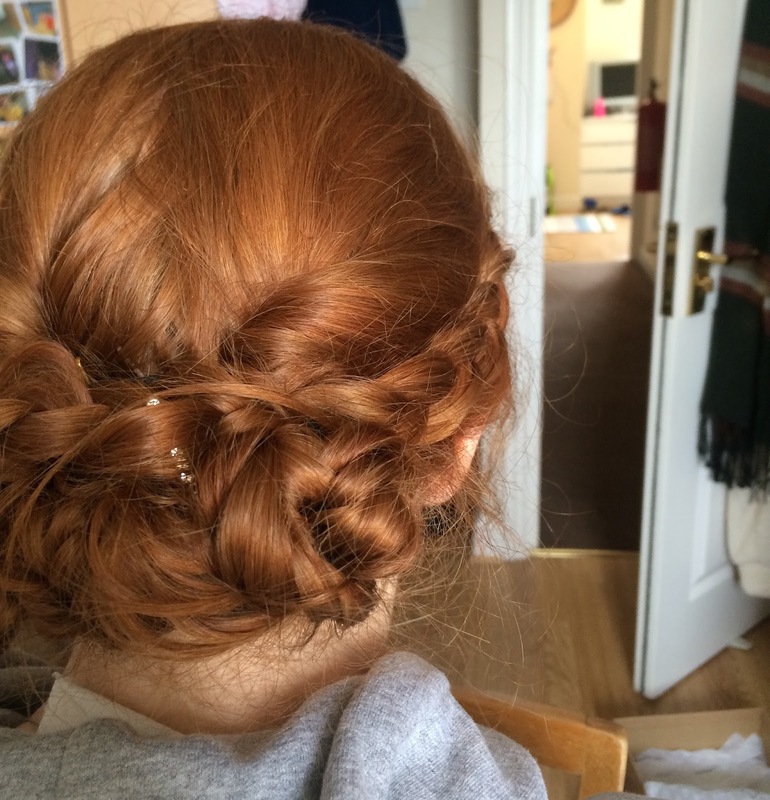 To end the week, 3 of my housemates were off to a Sports dinner last night. If you follow my Instagram you'll have seen the celebrations kicked off early with 11am Prosecco. It's not a side I mention on here very often (ever) but I love doing makeup and hair, and my housemates love me doing their makeup and hair. So I was booked out from 1pm-4pm yesterday, plaiting and twisting and covering spots because life is mean and spots had appeared the night before. I actually want to incorporate more beauty into my blog but am fully aware of the risk of becoming a beauty blogger. I love my niche of blogging about everything, and know most my readers are lifestyle blog people, so I don't want anyone to stop following Alice's Antics, but would people be open to the beauty side of my life? My makeup/makeup brush collection is enough to make some people pass out. I am currently obsessing over Ruth B and her song Lost Boy. I live for Spotify Playlists as a way of finding new music, and her voice is so beautiful. She doesn't have much on Spotify, but I've listened to all songs of on her EP, The Intro, and I think this may be love. I really enjoy songs which tell little stories and this one definitely does. If you're into Birdy/Aurora style, you'll love her, her voice is raw and beautiful. On another note, I recently had to buy some micellar water and the Simple one I usually buy wasn't available so I ended up with the Nivea one. I'm just going to throw it out there, all skin types are obviously very different, but it's extremely oily on the skin and has one of those textures which just made me cringe applying it. So yeah, it doesn't come highly recommended sadly. Gotta stick to Simple. I hope nobody minds this absolute overspill of words. I just had so many thoughts and stuff and wanted to talk to you all about everything ever.